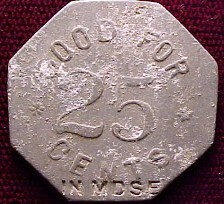 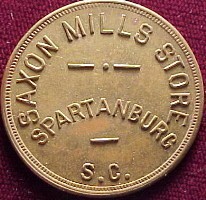 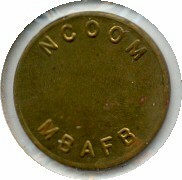 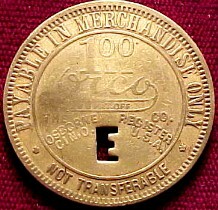 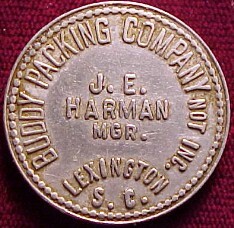 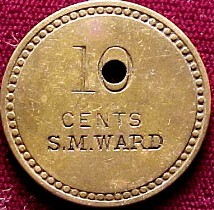 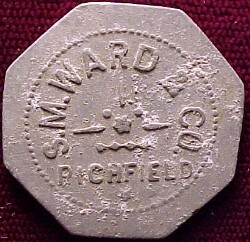 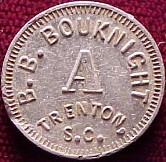 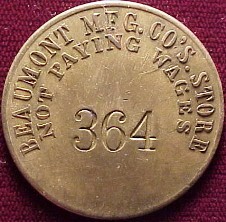 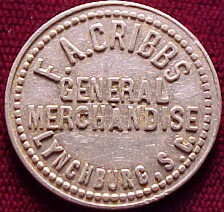 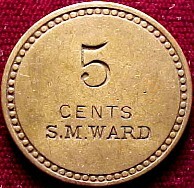 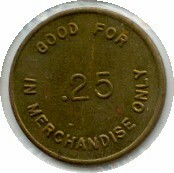 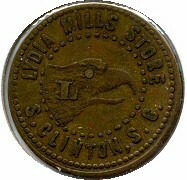 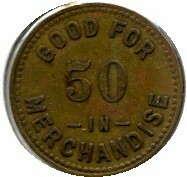 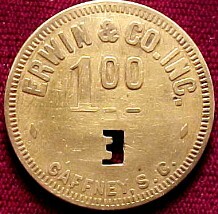 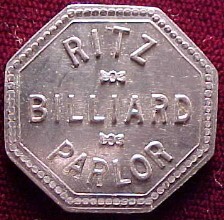 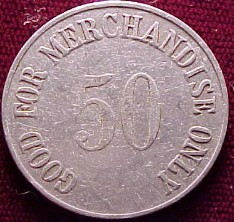 Here is the continuation of the list of South Carolina Trade Tokens that I have for sale. 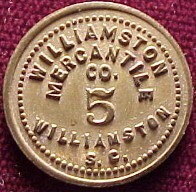 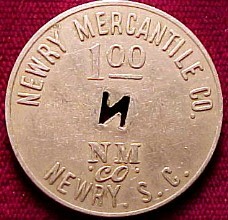 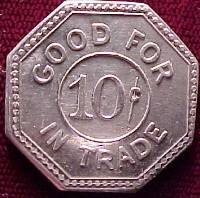 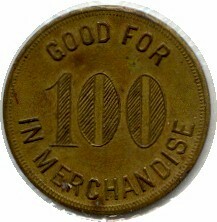 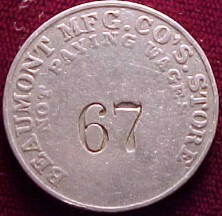 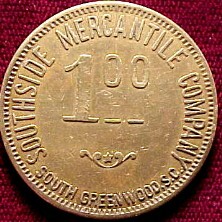 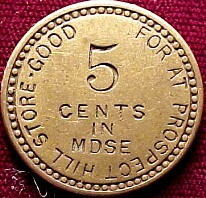 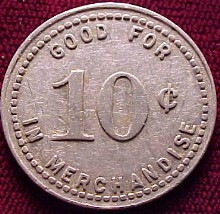 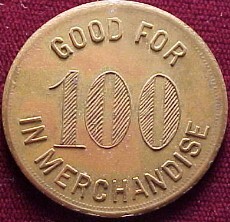 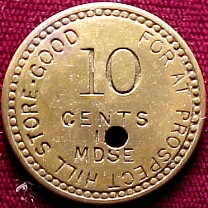 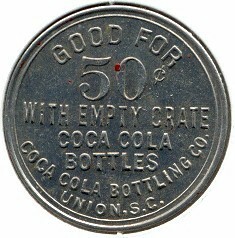 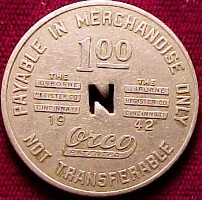 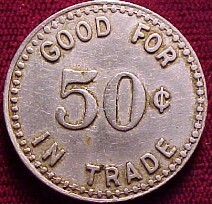 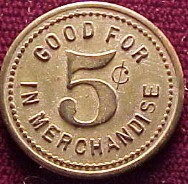 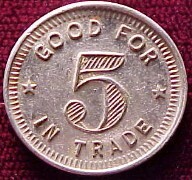 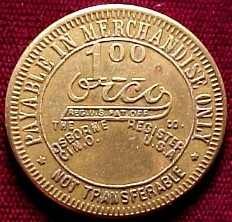 For the preceding page of this list, please click on South Carolina Trade Tokens for Sale - Page 1 or the link at the bottom of this page. 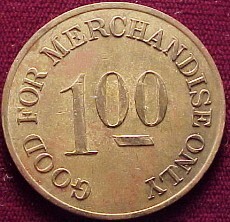 If you are interested in purchasing any tokens, please follow the "How To Order" instructions at the bottom of this page or email me at chibbaro@mindspring.com . Thanks.